You Decided to Invest in Energy Efficiency. We Can Do the Rest. 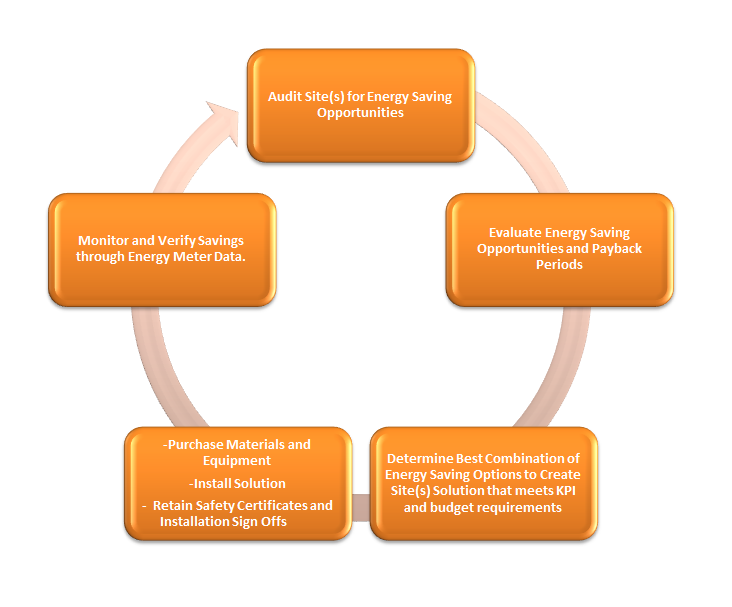 SEDAC Energy Management knows that energy efficiency projects are not easy and are rarely straightforward. With so many products and services on the market, it can be difficult to know where to start. We can help you through the process and provide transparent information every step of the way. SEDAC Energy Management can audit your site, determine the payback periods for all the relevant energy efficiency options you could invest in, and present you with the best way forward. From there, we can arrange the products and materials, the installation, the monitoring and verification, and any staff training needed. Have a KPI to Meet? SEDAC EM Can Take Care of That! difficult. Factors such as equipment on site, trading hours, operating hours, safety requirements, available capital for the investment, and much more all need to be considered when making a decision. Implementing a chosen solution and keeping track of whether it is really saving you money is even harder. SEDAC Energy Management is happy to help you impress your boss or company board by figuring out for you what is the most cost effective way to reduce energy use and maintain the reductions for your company. After implementing the solution, we will provide the data to prove the savings are happening and the KPI is being met. No matter how large or small the site or how many sites or how few, SEDAC Energy Management can work with your business to reduce energy. Find the idea of saving energy across several hundred of your sites daunting? We have helped several companies do just that by arranging the materials, the installation crews, the paperwork, the scheduling and all the other details required to make their chosen energy efficiency roll out successful. We provide weekly reports on progress, exception reports on the project and keep you in the loop while we keep the project on track with our project management services. Contact us today to find out how easy it can be to save energy!